Published on 5 March 2012. 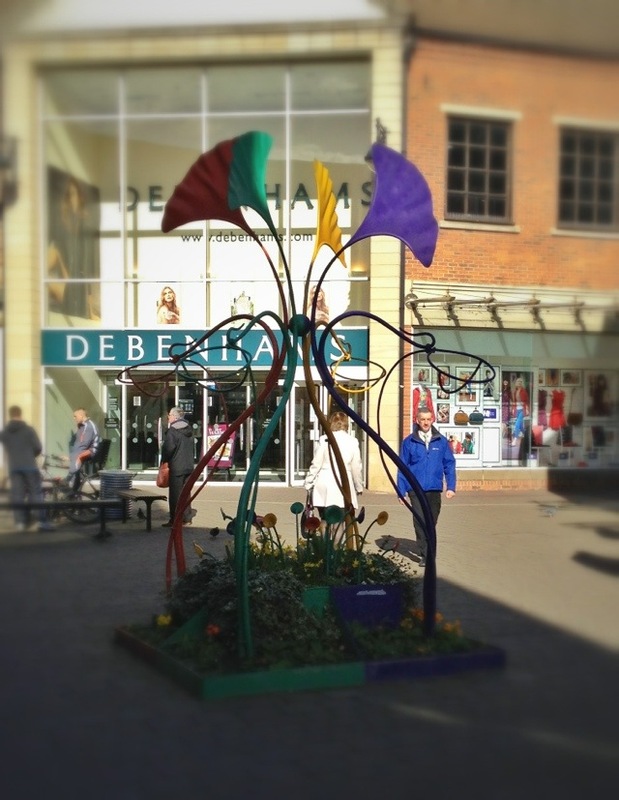 This bizarre flower display thingy (that may not be the technical term) at Wellington Square in Stockton used to be Wendy’s favourite flower display thingy in the whole of Stockton. This wasn’t because it was only a short walk from our house, but was mainly due to the large clusters of amusingly amorous pigeons which used to congregate upon it. Sadly, none were around today when I was taking this photo! This 1,552nd post was filed under: Photo-a-day 2012, Retail, Stockton-on-Tees.